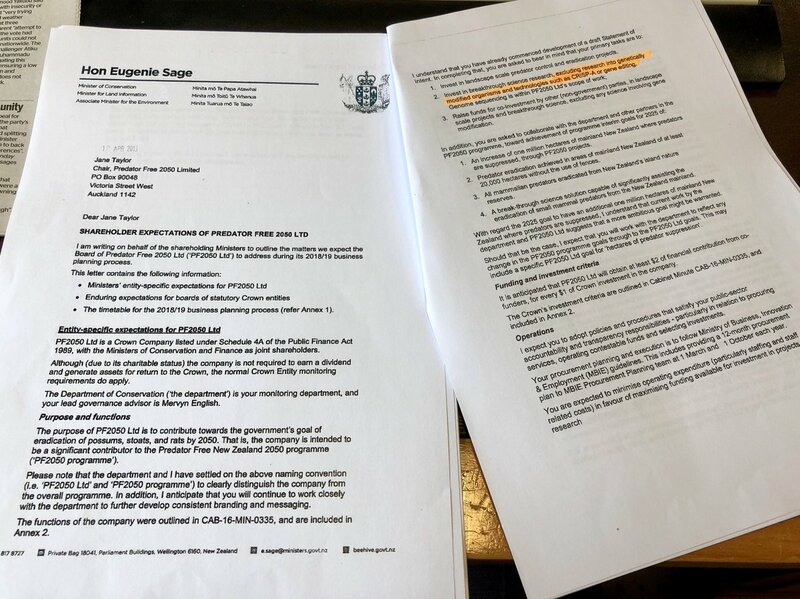 Green MP and Minister of Land Information Eugenie Sage is under fire again, this time for approving 21 applications to sell land to ‘foreigners’. Eugenie Sage is being accused of continuing National’s practice of “rubber-stamping” the sale of sensitive land to foreigners. New figures reveal the land information minister and Green MP has approved nearly every application to cross her desk over nine months, rejecting just 30 hectares out of almost 60,000 hectares. Between 1 November and 26 July, Ms Sage approved 21 applications covering about 55,957 hectares. She turned down two requests relating to 30 hectares. But Ms Sage said most of approved land – roughly 40,000 hectares – related to the sale of Mount White Station, a sheep and beef farm in Canterbury. In that case, the Czech buyer already had permanent residency and his wife and children were New Zealand citizens. “There was very limited opportunity for discretion because … it had only been triggered as an application under the Overseas Investment Act because he was out of the country for a period. Many of the other applications related to forestry which was a government priority area, she said. There appears to be a clash of policy priorities here – something common in Government, especially when several parties want different things done. But I think that Labour and NZ First had both campaigned against foreign purchases of land, so all three parties seem to have taken different positions on this once in power. Former Green MP Sue Bradford is warning the news will stir up more disquiet among the party’s supporters after an earlier backlash over Ms Sage’s decision to allow a Chinese water bottling giant to expand. “Her role is meaningless. The party’s role is meaningless,” Ms Bradford told RNZ. She was shocked Ms Sage approved the sale of so much land to overseas people. Bradford has never experienced being in Government. Campaign Against Foreign Control of Aotearoa spokesperson Murray Horton said the approval rate made a “mockery” of the government’s promises to curb foreign investment. “The Greens need to be a bit bolder, frankly. They’re in government for the first time ever. A mandate from 6% of voters is hardly a mandate to make bold changes. It could also be argued that there is no mandate for Labour+NZ First+Greens to slash foreign purchases because that was never put to the voters as a joint policy. The government extended the Overseas Investment Office’s oversight in November and banned house sales to most foreigners in August. Ministers also directed officials to review the Overseas Investment Act with changes expected by 2020. Perhaps they can jointly seek a mandate in the next election for stopping foreign purchases. Being a Minister can be a tough job. When the National Government proposed a goal in 2016 of a predator free country by 2050 – see Predator free by 2050 – it raised both doubt (that it could be achieved), and praise. A large predator free area featuring some of the South Island’s most majestic landscapes is the long-term vision of a multi-million-dollar predator control project announced by the Minister of Conservation, Eugenie Sage today. “Encompassing 310,000 hectares between the snowy mountain lands of Aoraki/Mt Cook National Park, glacier fed lakes and the iconic drylands of the upper Mackenzie Basin, the Te Manahuna Aoraki ‘mainland island’ is inspirational,” Eugenie Sage said. “I am pleased to launch this fantastic project. Te Manahuna Aoraki will help to preserve and protect the habitats of 23 threatened species including wrybill/ngutuparore, robust grasshoppers, kea, and the world’s rarest wading bird, the kakī/black stilt. The Department of Conservation (DOC), NEXT Foundation, Te Rūnanga o Arowhenua, Te Rūnanga o Waihao and Te Rūnanga o Moeraki are the project’s founding partners. They are joined by high country landholders, and investors Aotearoa Foundation, Jasmine Social Investments, Global Wildlife Conservation (GWC) and Predator Free 2050 Ltd.
“A $4.5 million investment will fund an initial three-year phase to extend protection for threatened species and to test predator and pest control techniques for the rest of the 20-year project. “The project will use natural barriers including 3,000 metre high mountain peaks, ridgelines and waterways to prevent or reduce re-invasion of predators like rats, possums and stoats – keeping them away from our precious threatened species. “Building on existing partnerships with Ngaī Tahu, landholders, and local councils this nationally significant biodiversity project builds on decades of DOC’s biodiversity work and the help of many volunteers. “Supporting this work is the opening of the new captive breeding facilities for kakī/black stilt at Twizel. Funded by Global Wildlife Conservation, the new hatchery and aviary will play an important role in boosting the population of this cherished but threatened bird. “For the kakī population to thrive, it needs its braided river habitat to be healthy and riverbeds to be clear of introduced weeds and protected from introduced predators. Te Manahuna Aoraki will go a long way to ensuring threatened species calling the Mackenzie Basin home are protected. “DOC biodiversity ranger, Scott Theobald played an important role in the Te Manahuna Aoraki restoration project before he was tragically killed in a recent helicopter crash in Wanaka along with his colleague Paul Hondelink and their pilot Nick Wallis. “All three men were committed to conservation and pioneers in their fields. Scott’s knowledge and advice regarding control of black-backed gulls and rabbits, and his expertise in the construction of the robust grasshopper protection fence will be remembered always as Te Manahuna Aoraki is brought to life,” Eugenie Sage said. It’s great to see this. Time will tell whether these are unattainable ideals or not, but significantly reducing predators (and keeping numbers down) will make a big difference to the country. In the area I live they have had a big campaign over the last couple if years to reduce possum numbers after a bovine TB outbreak on several farms. This has made a big difference to plants and gardens and the area of native bush on my property and in the adjoining hills. It hasn’t eliminated the problem (a possum or possums have been making a mess of rose plants recently) but both plant life and bird life have improved noticeably. The Mackenzie project and other predator free zones are a beginning. Hopefully they will be largely successful, they will grow, and different areas will eventually merge. The business end of the Green Party – their ministers – have had a low profile and have been overshadowed by Labour and NZ First. This hasn’t been helped by Julie Anne Genter being on maternity leave, but James Shaw and Eugenie Sage aren’t attention seeker types of MPs anyway. They have largely pout their heads down and got on with their new jobs. But they are trying to change this, albeit in a very low key way. The Green Party is keen to advance social policies in their second year of Government, like a promise to give free mental health services to anyone under 25. The party put out a release looking ahead to their second year of Government on Saturday morning, despite the anniversary not falling for another month and a half. Remarkably I went looking for this and can’t find anything other than the Stuff report – I can’t find it on the Green Party website, nor on their Facebook page, nor on the Green or Shaw’s Twitter feeds. What are their PR people playing at? In it, co-leader James Shaw talks up the party’s priorities for the second year of the Government. “Our key objectives for our second year in a Government with Labour and New Zealand First will include transforming our social safety net so no child is left in poverty,” Shaw said. That mental health policy was campaigned on by the Greens and is included in the Confidence and Supply Agreement with the Labour Party – so has a good chance of actually happening. If NZ First don’t hobble it. Shaw doesn’t sound overly confident here. But other changes to protect New Zealand’s waterways and introduce a rental warrant of fitness have not been agreed to by the other governing parties. “No one said this was going to be easy. This Government holds a diversity of views, just like our community does, and everything we work on must be worked through together, as adults,” Shaw said. It won’t be easy. Not only do Greens need to get Labour into giving their policies some sort of priority, they also have to convince NZ First to back them as well, or National. Lipstick on a pig of a governing arrangement? The tussles between Labour and Winston Peters are looking ugly enough, and Peters is likely to be even less willing to concede policies and power to Shaw. As much as Shaw may like to promote a Green wave of progress, he doesn’t seem to be a strong leader and he has a weak political hand to play with. He isn’t a politician that naturally attracts attention through controversy, and especially after Metiria Turei’s disaster last year he is unlikely to want to risk a stunt approach. So what else can Shaw do but plug away nicely and quietly? Probably not a lot. It doesn’t help when the party puts out a release on a Saturday morning, a very slow political news time, and does not make it available on any of the major social media platforms nor their website as far as I can see – and I went looking.